? 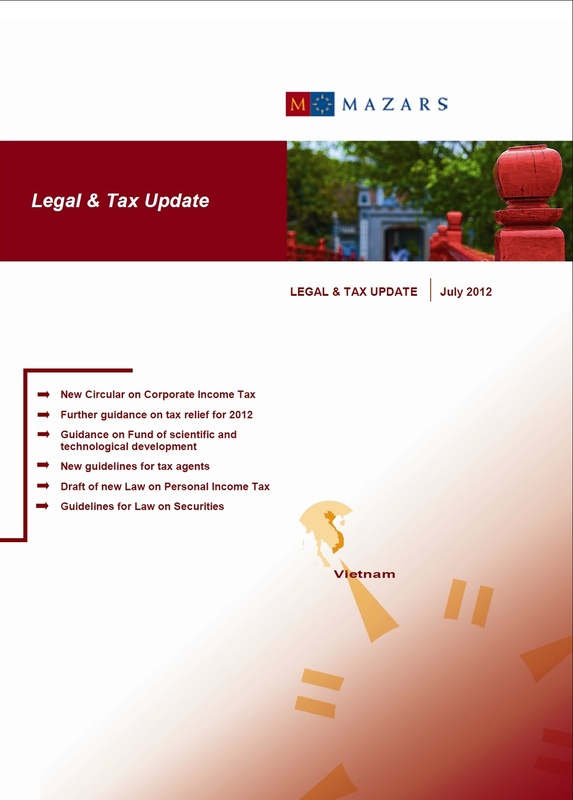 New Circular on Corporate Income Tax.
? Further guidance on tax relief for 2012.
? Guidance on Fund of scientific and technological development.
? New guidelines for tax agents.
? Draft of new Law on Personal Income Tax.
? Guidelines for Law on Securities.